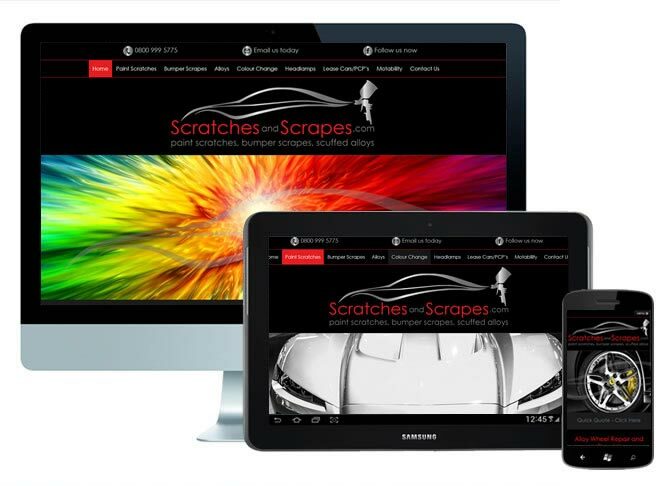 A brilliant business in Wales that repairs scratches and scrapes on your vehicle at your home or office. We created a simple mobile friendly website with a quick quote form. The quick quote form allows visitors to upload pictures of their damaged car. The pictures allow Scratches and Scrapes to then provide a accurate estimate for the work involved.